Forget silicon; computers of the future could be based partially around bacteria. Scientists at the Imperial College London have engineered bacteria to function as logic gates, basic components used to build electronic circuits. This is an important step towards the creation of biological digital devices--think living computers. 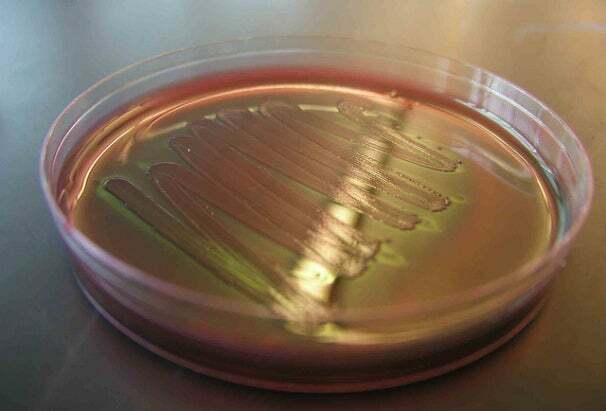 The bacteria E. coli was used as the host for a genetic AND gate. For this gate to be activated, two input signals must be present to activate two independent genes. The two proteins expressed by these two genes then coordinately activate a third gene that produces the desired output. This gate was designed to be modular, such that the individual genetic parts are swappable, allowing you to change the inputs or output while maintaining the functionality of the gate. The scientists also demonstrated that it could be combinatorial by connecting the AND gate to a NOT gate to create a NAND gate. In this case, the output of the AND gate acted as the input of the NOT gate, effectively turning it off. Therefore, when both inputs of the AND gate are present, no output is produced from the NOT gate. This characteristic is key for building more complex systems. A third key feature of these gates was that they could act independently of both the genetic background of the host, in this case E. coli, as well as the external environment. Although there is still a long way to go in the design of these living computers, the potential applications are intriguing. They could be used within the human body to detect cancerous cells or to clean plaque in arteries, preventing heart attacks, or they could be used to detect toxins in the environment and neutralize them.